LOS ANGELES COUNTY OFFICE OF EDUCATION, CALIFORNIA DEPARTMENT OF MENTAL HEALTH, TORRANCE UNIFIED SCHOOL DISTRICT AND LOS ANGELES COUNTY MENTAL HEALTH. The due process hearing in this matter convened on February 9, 2011, in Torrance, California and on February 10, in Downey, California, before Administrative Law Judge (ALJ) Robert Helfand from the Office of Administrative Hearings (OAH), State of California. Student was represented by Benjamin Conway, Esq., of Public Counsel Law Center, and by Surisa E. Rivers, Esq., of the Disability Rights Legal Center. Student did not testify or attend the hearing. Student’s mother and father attended on February 9, 2011. Two interns with Public Counsel Law Center, Sean Heikkila and Susan McClure, attended on February 9, 2011. Courtney M. Brady, Deputy General Counsel, represented the Los Angeles County Office of Education (LACOE). She was accompanied by Dr. Gary Levin, LACOE’s Project Director of Compliance and Support Services. Andrea Ross, Deputy County Counsel, represented the Los Angeles County Department of Mental Health (CMH). Joyce E. Paul, Esq., of Parker & Covert LLP, represented Torrance Unified School District (Torrance) and was present for part of the February 9, 2011 session. Rudy DeLana, a program specialist with Torrance, attended part of the session on February 9, 2011. Student called his mother (Mother) to testify on his behalf and then rested his case. LACOE called Dr. Levin. CDMH called Charles Anders and Willie Deon as witnesses. CDMH also submitted a written declaration from Paul McIver in lieu of his testifying. Student filed his request for a due process hearing on November 8, 2010. OAH granted motions to dismiss the California Department of Education (CDE) on November 29, 2010, and the California Health and Human Services Agency on December 29, 2010. On December 21, 2010, OAH granted in part, as to Issue Two, and denied in part a motion to dismiss brought by Torrance. (1) Was Student denied a free appropriate public education (FAPE) because he was not provided appropriate educationally related mental health services from October 9, 2010, to November 9, 2010? (2) What agencies or agency are responsible for providing Student’s educationally related mental health services from November 10, 2010 to present? As a remedy for the alleged FAPE violations, Student requests that the ALJ order LACOE and CDMH to provide him with 50 hours of compensatory mental health services to be used after he returns to the community from his present residential treatment center (RTC) placement.3 Student also requests an order from OAH identifying which of the remaining respondents is responsible for providing him with mental health services under Assembly Bill No. 3632 (hereafter AB3632), which was enacted in Chapter 1747 of the Statutes of 1984, operative July 1, 1986, and which established interagency responsibilities for providing and funding mental health services to students with disabilities in California. This enactment is codified as Chapter 26.5 of Division 7 of Title 1 of the Government Code. 1 Student is a plaintiff in that case. 2 During the prehearing conference and after discussion with the parties, the ALJ reworded the issues presented by Student in his complaint. 3 Student’s complaint originally asked that OAH provide a remedy for similarly situated students and that OAH order structural and/or systemic changes in the provision of mental health care to special education students by the respondents to this case. On December 29, 2010, OAH dismissed this request for relief as being beyond the limited jurisdiction of OAH in special education due process hearings. Prior to the commencement of the hearing, all Respondents filed motions to dismiss Issue Two. Also, Torrance moved to dismiss Issue One, the sole remaining issue relating to it. Oral arguments on the motions were held on the first day of the hearing. Because Torrance, as the local education agency, is currently implementing Student’s current Individualized Education Program (IEP) and will continue to do so, Student did not oppose the motions of the Respondent to dismiss Issue Two in its entirety. Also, the ALJ reconsidered the December 22, 2010 order by OAH which dismissed Issue Two as to Torrance since the issue was not ripe. After considering oral and written arguments, the ALJ found that the issue was moot because Torrance had implemented a new IEP which included placement in a residential treatment center and educationally related mental health services. As to Torrance’s motion to dismiss Issue One, LACOE contended that Torrance was the local education agency which was responsible for providing Student a FAPE during the applicable time period. Student did not contest Torrance’s motion. Torrance’s motion to dismiss was granted and Torrance was dismissed from the action. Prior to the commencement of the hearing, the Parties presented a joint stipulation as to certain facts. The joint stipulation was admitted as Court exhibit one. Student contends that he was deprived of a FAPE because he did not receive the same level of mental health services while in juvenile hall as he would have had he been sent to an RTC. Because Student received only 30 minutes of individual designated instruction and services (DIS) counseling and 45 to 60 minutes of AB3632 counseling weekly while in juvenile hall, Student contends that he was denied FAPE. He contends that the services that he would have received at the RTC would have been 60 to 120 minutes of individual therapy weekly, 120 to 240 minutes of family therapy monthly, and 300 minutes of group therapy weekly. Student further contends that the Individuals with Disabilities Education Act (IDEA) makes the local education agency primarily, and the state education agency secondarily, responsible for providing a student with a FAPE. As to educationally related mental health services, AB3632 shifted the primary responsibility jointly to the local education agency and the county mental health agency. When the county mental health agency is unable to meet this obligation, then the state department of mental health is responsible for funding such services. All Respondents contend that Student failed to meet his burden that he was not provided a FAPE as the services provided enabled him to access his education while at juvenile hall and that he was placed in a RTC without delay after the juvenile court issued an order permitting such placement. Additionally, CDMH contends that it is not the responsible agency for providing or funding educationally related mental health services. 1. Student was born on February 24, 1993, and is eligible for special education and related services under the eligibility category of emotional disturbance (ED) and a secondary category of other health impaired (OHI).5 Student was adopted at the age of two and a half by his parents. Student had fetal alcohol syndrome at the time of adoption. Parents have resided within the boundaries of Torrance at all times material herein. Student resided with his parents, 16-year-old sister and seven-year-old brother. Student has a history of marijuana use, alcohol use, and cutting himself. 4 In addition to A.C. v Schwarenzegger, another case involving the same issue was recently decided by the Court of Appeals for the Second Department, California School Boards Association v. Brown (2011) ___Cal. Rptr.3d ____, 2011 WL 668050, 111 L.R.P. 14617. 5 Student also has Attention Deficit Hyperactivity Disorder (ADHD). 2. Paul McIver is the District Chief of Children, Youth, and Family Programs Administration of the CMH. The parties stipulated to the admission of his Declaration in lieu of his personally testifying. 3. In 1986, California established a statutory scheme that provides for interagency responsibility in regards to the provision of special education related services under the IDEA (Gov. Code, §§ 7570-7588.). The statutory scheme is known as AB3632 after the Assembly Bill that created the law. This resulted in the county mental health agencies providing educationally related mental health services to special education students through the local education agency IEP process. 4. 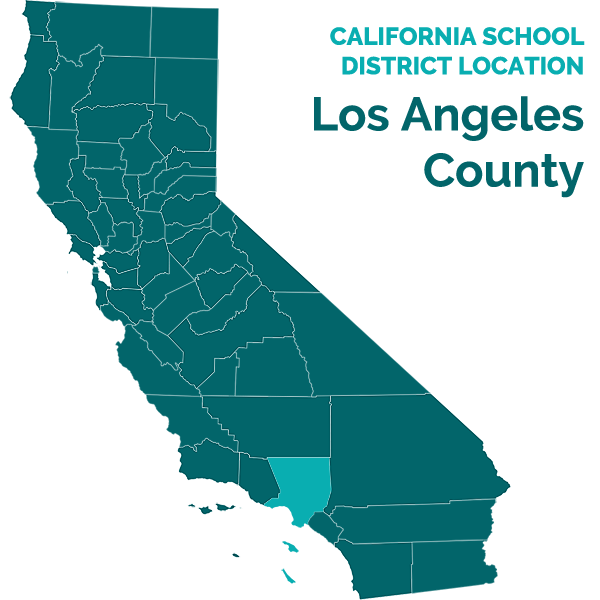 In Los Angeles County, a school district will identify a student whom it believes requires educationally related mental health services and refer the student to the CMH, which assesses the student as part of the IEP. Upon completion of the assessment, CMH forwards a report to the district. If such services are recommended, CMH is required by AB3632 to coordinate the provision of the services, which can include individual or group psychotherapy, collateral services, medication monitoring, intensive day treatment, day rehabilitation, residential placement, and case management. 5. Educationally related mental health services are not crisis stabilization services. To the extent that any student has, or will have, suicidal or violent behavior that requires crisis intervention, that student can and should access those services through other public programs and/or private providers, including programs provided by CMH but they cannot do so through AB3632 or IDEA. 6. In school year 2008-2009, Student was in the 10th grade attending Torrance High School. During the last month of the school year, Student pushed a fellow student down and was sent to the Alan B. Shepard School. The matter was referred to juvenile court which resulted in the case being dismissed. 7. In school year 2009-2010, Student attended a special day class (SDC) run by LACOE at Redondo High School for ED students. Student did well academically and participated in the school’s R.O.T.C. program (ROTC). On February 10, 2010, Student, who did not possess a driver’s license, drove his parents’ car to school and brought with him an air soft pellet gun on campus. Student shot a fellow student in the ROTC room. As a result, Student was placed at the Malaga Cove Academy, a special education program operated by LACOE. Student also was taken to juvenile court and received six months probation. Student’s grades fell to the “C” and “D” range, and he was absent 29 times in the third and fourth quarters. Malaga Cove staff referred Student for an AB3632 assessment. The CMH assessment report recommended that Student be placed in residential treatment. Student’s parents did not accept the recommendation. 8. On May 18, 2010, Student attempted suicide by ingesting a bottle of Tylenol. He was hospitalized at Harbor UCLA for three days and then transferred to the psychiatric unit at UCLA until June 3, 2010, when he returned home. On June 6, 2010, Student ran away and was not located until June 9, 2010. He entered the Center for Discovery, a residential treatment facility, on June 10, 2010. Student was transferred to USC Hospital and then to Del Amo Hospital after Student threatened another patient. On July 2, 2010, Student was admitted to another residential treatment facility, Adolescent Growth Inc. (AGI) until he returned home on July 30, 2010, although he continued with AGI on an out-patient basis. 9. On June 12, 2010, an amendment IEP team meeting was held and Student was exited from LACOE’s special education program and placed within Torrance. 10. On August 14, 2010, Student was hospitalized at the UCLA Neuropsychiatric Institute after threatening his sister. He was transferred to AGI on August 17, 2010. 11. Pursuant to Student’s parents’ request, CMH conducted a mental health assessment which was completed on August 27, 2010. The assessor, Jean L. Wong, L.C.S.W., concluded that Student met the eligibility requirements of AB3632 as someone with exceptional needs who requires mental health treatment in order to benefit from educational programming. Wong recommended that Student receive residential treatment. 12. On September 3, 2010, Parents enrolled Student in Torrance. The 2010-2011 school year was to commence on September 8, 2010. 13. Student was released to his parents on September 20, 2010. He was then arrested on September 21, 2010, for attempted armed robbery with a kitchen knife and placed at Central Juvenile Hall (Central). On October 4, 2010, he was transferred to Los Padrinos Juvenile Hall. From October 11, 2010, through October 21, 2010, Student was again at Central. Student was again at Los Padrinos from October 22, 2010 through November 5, 2010, before being sent to Central until he was released to his parents, subject to being placed in an RTC named Devereux Texas (Devereux), on November 12, 2010. During this time, LACOE was responsible for providing Student a FAPE. 14. On September 27, 2010, Torrance convened an IEP team meeting. Although Student was detained in the juvenile court system, Torrance elected to proceed with the meeting. The IEP team determined that Student required placement in a RTC and authorized CMH to search for an appropriate out-of-state placement. Student’s parents were informed that Torrance would fund the educational portion of a residential program when Student was released from the juvenile hall. Parents were informed by the CMH representative that Student’s placement at a RTC was contingent upon the juvenile court issuing a “home of parent” order which would permit Student’s release from incarceration. 15. When a child is placed in juvenile hall, LACOE becomes the local education agency as it operates the juvenile court schools. (See Legal Conclusion 6.) When the child is a special education student, LACOE reviews the then current IEP which is being implemented and consults with parents to determine an initial placement and services for the first 30 days when an IEP team meeting can occur. Because the child is incarcerated and under juvenile court supervision, LACOE is unable to place a child in a RTC until a probation officer makes a recommendation to the court and/or a court order is obtained permitting such a placement. 16. On October 7, 2010, LACOE conducted a 30-day administrative placement for Student pending an IEP team meeting. LACOE reviewed the in-place IEP from Torrance and consulted telephonically with parents. LACOE then determined that Student was to continue with his IEP goals from Torrance, he would be placed in a SDC five days per week for a total of 240 minutes, and receive one 60 minute counseling session weekly and an additional 30 minute counseling session each week. On October 14, 2010, Mother signed the administrative placement form. An IEP was scheduled for November 6, 2010. 18. On October 11, 2010, CMH identified a potential RTC placement for Student at Devereux. 19. On October 12, 2010, the juvenile court continued Student’s request for a “home of parent release order” which was necessary to release Student from juvenile detention and permit him to be placed at a RTC.6 Mother testified that the reason for the continuance was that the judge wanted to grant time to have the funding for the RTC placement to be resolved because of the Governor’s veto. 20. On October 27, 2010, Student and three other students filed an action in the United States District Court for the Central District of California alleging that the Governor’s line-item veto of AB3632 funding violated federal law.7 On November 1, 2010, Student, CMH, Torrance, and LACOE entered into a stipulated temporary restraining order (TRO). The TRO stated that the California Department of Education and the State Superintendent of Public Instruction had agreed to release to county offices of education the 76 million dollars in IDEA funding currently in the state budget, a portion which were to be passed from LACOE to CMH for educationally related mental health services. Pursuant to the TRO, CMH agreed to resume and continue to provide and monitor educationally related mental health services, to attend IEP meetings, to complete assessments and authorize services, upon referral from local education agencies in Los Angeles County until funding was exhausted or the federal suit was resolved, whichever occurred first. 21. On November 4, 2010, CDE awarded Los Angeles County’s portion of IDEA funds to LACOE for the 2010-2011 AB3632 services. 22. LACOE conducted a triennial assessment of Student on October 26 and 27, 2010. The assessment was conducted by Tony Meehiels, school psychologist, and Tina Sinipe, Student’s SDC teacher. Student received a full scale IQ standard score of 100 on the Cognitive Assessment System, which is in the average range. His subtest scores were in the average range except in planning where he scored a 77 which fell in the sixth percentile.8 On the Woodcock-Johnson III Tests of Achievement, Student’s standard scores were 96 in math, 116 in written language, and 120 in reading. Student scored in the average range on the Connor’s Third Edition-Self-Report in all areas except for inattention (37, which is in the low range), aggression (61, which is in the elevated range), and conduct disorder (61, which is in the elevated range). Student was not in the clinically significant range on the Childhood Depression Index, but he scored in the clinically significant or at risk range on the Achenbach Youth Self-Report which measures child behavior problems and social competency. The report found that Student qualified for special education under the category of ED “[d]ue to his long history with defiance and oppositional behaviors.” The report recommended that Student be placed in a SDC and provided with counseling once a week for 30 minutes. 6 Prior to the juvenile court issuing a home of parent order, the court receives a probation report which includes recommendations as to incarceration and placement. 7 A.C. v Schwarzenegger et al, U.S.D.C.-Central District, Case No. CV-10-7956 GW (AGRx). 8 An average standard score is between 90 and 110. 23. On November 3, 2010, LACOE convened a triennial IEP meeting. In addition to Student and his parents, other attendees were an administrative designee from LACOE; school psychologist, Meehiels; special education teacher, Sinipe; two regular education teachers; school counselor; LACOE project director; a LACOE attorney; a CMH supervisor; and a probation officer. Reports were given by Student’s counselor and the school psychologist who reviewed his assessment. It was noted that Student had no behavior issues since being in juvenile hall, and Student’s therapist reported he was improving. 24. A transition plan was developed taking into account Student’s desire to pursue a career as an auto mechanic. The team discussed Student’s behavior problems and support he required. The team adopted a Behavior Support Plan and behavior goal to address Student’s lack of motivation in completing class assignments. Student’s SDC teacher recommended that Student participate in the resource specialist program provided he could keep his behavior under control. The CMH therapist noted that Student needs to maintain structure and that support be available when he requests help. The team adopted five goals and agreed that Student continue to be placed in a SDC with 30 minutes per week counseling along with CMH provided therapeutic services of 69 minutes weekly. 25. In discussing placement after detention, Parents stated that they would like to have Student in a stable environment where he can receive intensive and consistent help with his issues. The team adopted the CMH recommendation of a RTC and agreed to initiate such a placement when it could be accomplished. 26. Based upon the report of Student’s teacher to the IEP team, the IEP team determined that Student did not need behavioral support in order to achieve academic success although he continued to require being in a SDC which was highly structured. Student’s grades were in the “C” to “B” range. Student’s probation officer also informed the IEP team that Student was doing well in his unit and was not presenting any behavioral problems in that setting. This was corroborated by Mother who testified that she felt that Student was not under stress at juvenile hall which resulted in the absence of behavioral problems. 27. On November 5, 2011, the juvenile court issued a home of parent order after reviewing the Probation Officer’s Report. The order permits the release of Student on the condition that he enter Devereux pursuant to AB3632. 28. Gary Levin, Ed. D., is a Project Director III with LACOE. He has been employed by LACOE for over 30 years. As part of his duties, Levin arranges for placement at RTCs. LACOE is not permitted to contract for placement at a RTC until it receives a court order. Levin then checks out available space and contracts for the placement plus transportation to the location. The actual location is determined by the probation officer who makes a recommendation to the juvenile court. LACOE has no role in obtaining the home of parent order. 29. After receiving the court order, LACOE arranged for Student to attend Devereux and contracted for transporting Student to the RTC. Student was transported to the RTC on November 9, 2011, where he presently is placed. 30. CDMH contends that it is not responsible for providing special education and related services to Student. Charles Anders, Chief of the Local Program Financial Support for CDMH, testified that CDMH is a mere “pass through” for the funds it passes to the county mental health agencies and the monies allocated in the state budget for AB3632 services. Each county’s share is determined by compiling data which shows the percentage of amounts expended by each county to the entire amount expanded state-wide. Then each county is allocated that percentage of the monies allocated in the annual budget act. Anders testified that his unit does not handle IDEA funds which may be available to local agencies and school districts through other sources. 31. Willie Deon is the Acting Chief of Community Programs Technical Assistance Unit of CDMH. He oversees CDMH staff that provides technical assistance to county mental health agencies including AB3632 services. Prior to his present position, Deon had been in the regulations unit and the AB3632 unit. Under an Interagency Cooperative Agreement between CDMH and the CDE, CDMH oversees compliance complaints received from CDE involving AB3632 and offering guidance to counties and local education agencies. When a compliance complaint is received from CDE, Deon’s unit investigates the allegations and issues a report to CDE, which makes a decision as to the complaint. CDMH does not provide any other services pursuant to AB3632. Also, CDMH does not in any way participate in the IEP process. 7. The responsibility for providing FAPE to children placed in a juvenile hall has been allocated by statute to the local county board of education. (Ed. Code § 48645.2.) Thus, LACOE is the local education agency for those students. Was Student Denied a FAPE Because He was not Provided Appropriate Educationally Related Mental Health Services from October 9, 2010 to November 9, 2010? 11. Notably omitted from testimony or documentary evidence presented by Student was any reference to what level of mental health services Student believes he required while at juvenile hall. Student presented no evidence that the LACOE class and academic work given to Student was not appropriate, nor did Student demonstrate that he failed to progress while receiving services from LACOE. To the contrary, the evidence presented demonstrated that Student was functioning better, had no behavioral or mental health issues which impacted his ability to access his education, that he did not fail to complete class assignments, that his behavior was compliant, and that he was respectful to staff and teachers. The evidence not only fails to demonstrate that Student suffered any regression academically, socially, or emotionally while at LACOE, but, to the contrary, demonstrates that he was receiving educational benefit. Student has therefore failed to meet his burden of proof. 10 Because Student has failed to demonstrate a denial of FAPE, it is not necessary to rule on which agency is responsible for providing and/or funding AB3632 services during the relevant time period. 1. Student has failed to meet his burden of proof that Respondents denied him a FAPE from October 9, 2010, through November 9, 2010, by failing to provide him with appropriate educationally related mental health services. Pursuant to California Education Code section 56507, subdivision (d), the hearing decision must indicate the extent to which each party has prevailed on each issue heard and decided. Here, the Respondents prevailed on the issues heard in this matter.